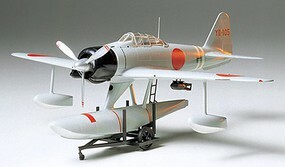 1-20 of 133 results in Plastic Models > Airplanes > Tamiya. 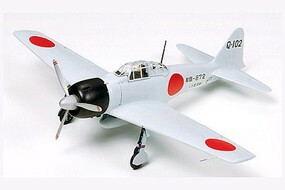 Online shopping for over 100 tamiya plastic model airplanes, saving you up to 25%. 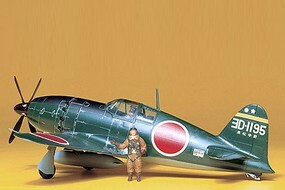 1/40-1/49 scale ranks as the most popular of the five tamiya plastic model airplanes categories, then 1/70-1/79 scale, 1/200+ scale, 1/30-1/39 scale, and 1/100-1/199 scale. 1/350 Scale Tamiya #TAM78006. 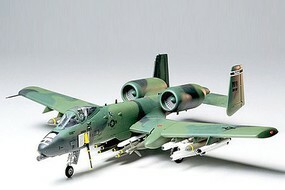 This is a plastic model kit of a set of 1/350 Plastic U.S. Navy Aircraft Set #1 from Tamiya. 1/350 Scale Tamiya #TAM78009. 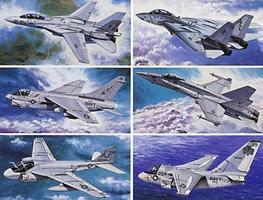 This is a plastic model kit of a set of 1/350 Plastic U.S. Navy Aircraft set #2 from Tamiya. 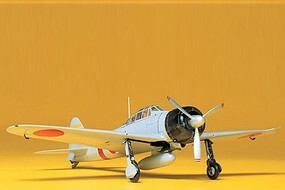 1/48 Scale Tamiya #TAM61040. 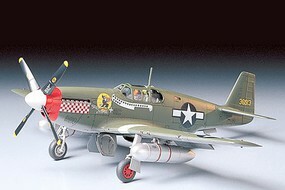 This is a plastic model kit of a 1/48 North American P-51D Mustang from Tamiya. Tamiya #TAM61058. 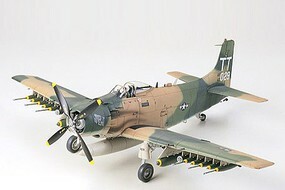 This is a plastic model kit of a 1/48 Scale Douglas Skyraider AD-6 Attack Aircraft by Tamiya. .
Tamiya #TAM61050. 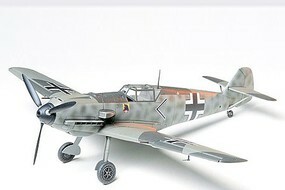 This is a plastic model kit of a 1/48 Scale Messerschmitt BF109E by Tamiya. Tamiya #TAM61061. 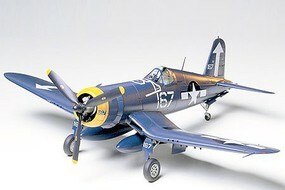 This is a plastic model kit of a 1/48 Scale Vought F4U-1D Corsair Fighter Aircraft by Tamiya. Tamiya #TAM61073. 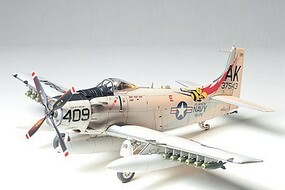 This is a plastic model kit of a 1/48 Scale Douglas A-1J Skyraider USAF by Tamiya. 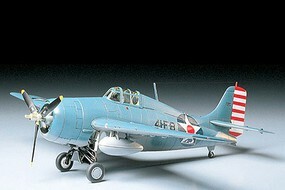 1/48 Scale Tamiya #TAM61070. 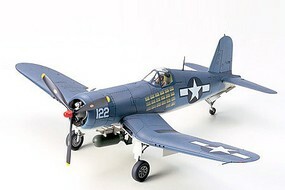 In June 1942, the F4U-1 production models made their maiden flight. However, due to their restricted forward field of view, and because of a propeller wash effect caused them to stall left wing first during low speed landings, they first were used as land based fighters. Succeeding the F4U-1 in the summer of 1943 was the F4U-1A, which was equipped with an extended rear wheel landing gear shaft, a slightly modified glazed canopy, and a small triangular strip of metal bolted to the right leading edge of the wing to equalize the stall and avoid the roll to the left at touch-down. .
1/48 Scale Tamiya #TAM61041. 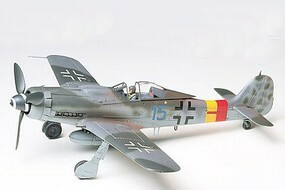 This is a plastic model kit of a 1/48 Focke-Wulf FW190 D-9 from Tamiya. It's for ages 10 and up. 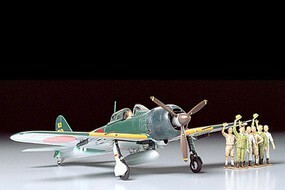 1/72 Scale Tamiya #TAM60741. This is a plastic model kit of a 1/72 F4D-1 Skyray Airplane from Tamiya. 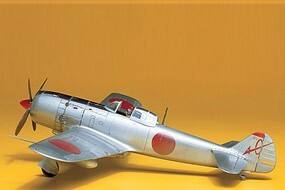 1/48 Scale Tamiya #TAM61042. 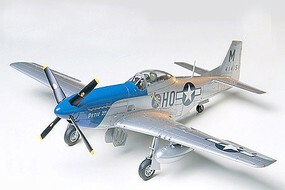 This is a plastic model kit of a 1/48 P-51B Mustang Fighter Aircraft from Tamiya. It's for ages 10 and up. Tamiya #TAM61032. 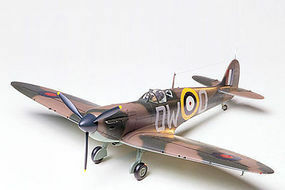 This is a plastic model kit of a 1/48 Scale Supermarine Spitfire MK1 by Tamiya.